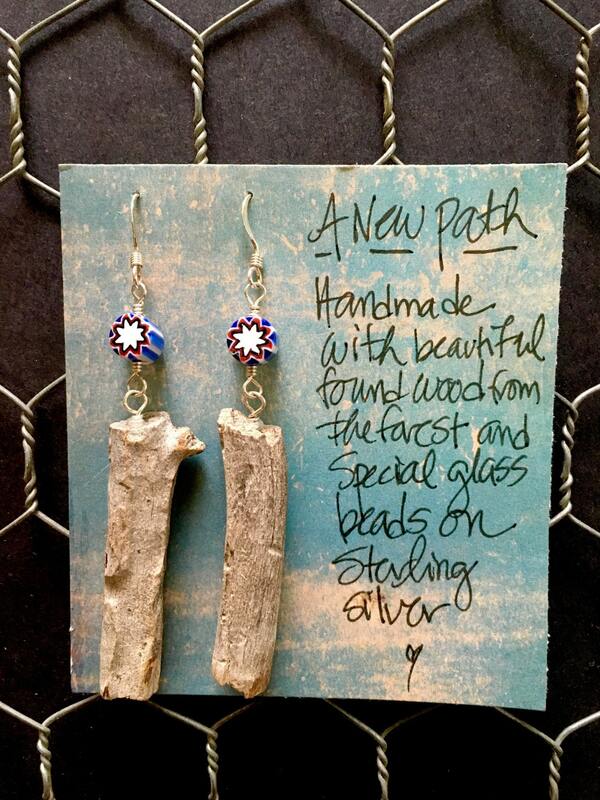 These beautiful earrings are made from pieces of found wood from the forest in Prescott, AZ and special glass beads. They hang approximately 2 1/2 inches in length and are hypo-allergenic. All jewelry comes with a handwritten description card and a box with the Jenny T. Designs logo on it.